Adam Melville - Industrial Designer. Adam graduated from Brunel and went straight into product engineering working for a company that manufactures car, watch and gun components. He now works for a local company in the Cotswolds - programming, setting up and operating CNC Mill/turn machines. 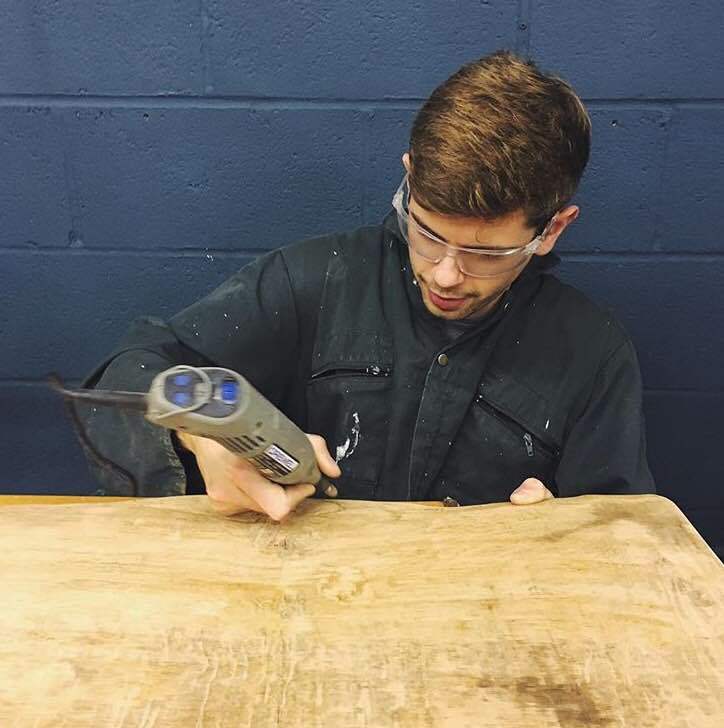 Utilising his flair for clean lines and raw materials, Adam also designs and makes industrial style jewellery, dabbles in carpentry and restores reclaimed finishes.